Bentley EXP looks a darned sight better than their new SUV - to my eyes anyway. Photoshop but with a bit more work on the rear 3/4 it could look quite nice? Not a production car, but a Ghia concept from the 1977 Geneva Motor Show. Named Megastar, it was based on a Granada and under the bonnet was a Ford Essex engine. Interesting - looks like it would have had pop-up lights too, if they ever worked? I'm imagining the front of a Sabre 2, grafted on to the rear of a SE5. And then squinting (a lot !). Reminds me of the BL Princess/Ambassador front though. Here's Megastar 2 from 1978. Renault Fuego/DeLorean front ? Did we know there existed a Triumph TR6 GTE? Edit, just had another look and the second one is probably (badly) Photoshopped. 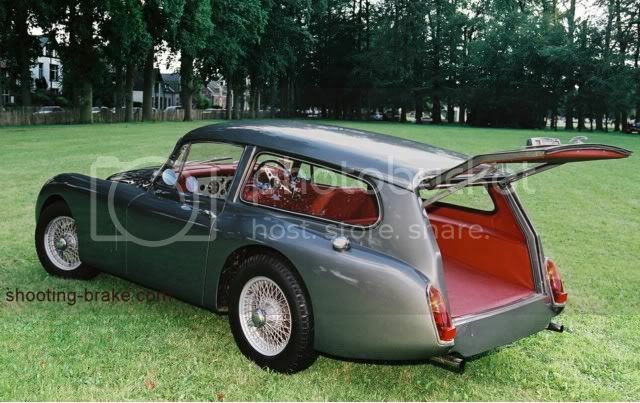 John Dodds beast, the ultimate shooting brake, v12 merlin engine from a spitfire ! Rover SD1 as seen at Haynes Museum.